This content is brought to you by Synovia Solutions. 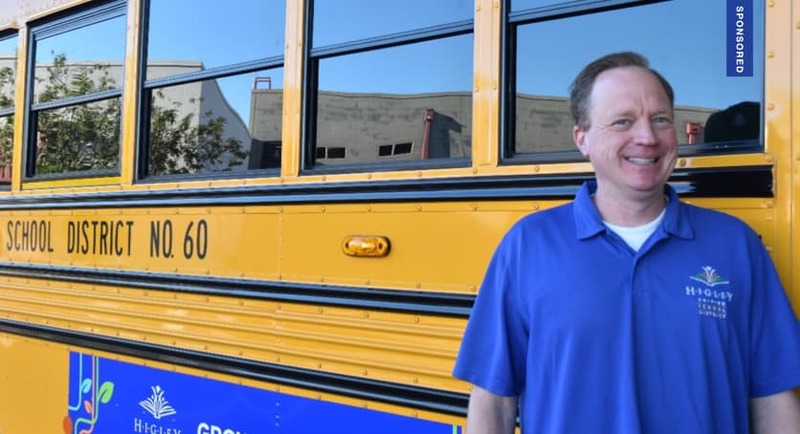 Transportation Director Josh Crosby stands in front of one of Higley USD’s 70 buses. Higley Unified School District in Arizona leverages technology to deliver a smarter school bus experience, with instantaneous tracking of bus location and student ridership. Imagine being able to create a scorecard system in which every bus driver was rated on their safe driving, punctuality and other variables that are essential to their success. And imagine knowing when a driver is faithfully fulfilling their responsibilities and not rushing through a pre-trip checklist that is critical to their job. Or what it means to adopt a flexible fleet tracking system that is powerful enough to deliver the information you need and nimble enough to grow with your district. All of this—plus a community of well-connected parents, students and educators—is what Josh Crosby and his team at Higley Unified School District has accomplished since enlisting the fleet tracking expertise of Synovia Solutions. Crosby is the director of transportation for the fast-growing school district, which is facing a host of unique challenges. 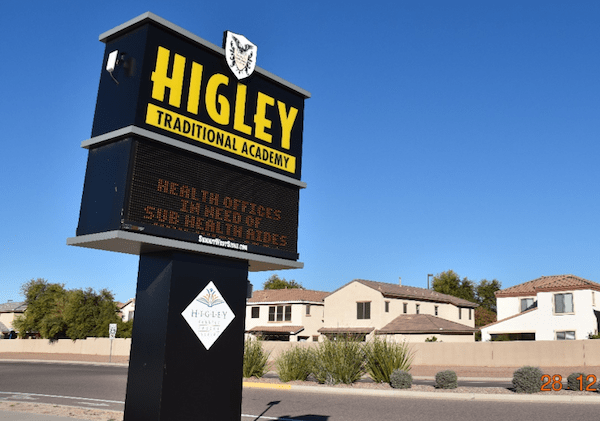 Higley Unified School District’s use of technology has expanded rapidly to keep pace with the demand of a growing district. Synovia’s suite of software solutions helps the school bus managers make smarter real-time decisions and keep parents in the loop. A decade ago, you could count Higley’s school buses on two hands. Today, the district manages a sprawling bus lot that is filled with more than 70 buses that shuttle the district’s 13,000 students and 6,100 eligible riders to and from its 14 schools and other facilities. California families that are migrating to more affordable Phoenix suburbs have helped fuel Higley’s meteoric growth in the past decade. Higley is like so many other fast-growing towns in suburban America. Located about 30 minutes southeast of downtown Phoenix, Higley has rapidly transformed from a town with a handful of stop lights and a small school district, to a traffic-heavy sprawl of shopping districts, parks and two high schools. Managing that growth has required the thoughtful deployment of technology, Crosby said. Josh Crosby turned a monitor vertically to better match the geographic layout of Higley Unified School District near Phoenix, when he’s managing the fleet with Synovia’s software. The district has made significant investments in ensuring the parents, students and educators in the community are connected via fleet tracking software. A few years ago, Higley moved away from its legacy GPS-powered fleet tracking provider and migrated to Synovia, on the strength of the company’s ability to flex to meet its demands. While Crosby and his team are busy tracking key performance indicators like excessive idling, speeding or harsh turns to reward his best drivers and coach others, parents and students have become huge fans of the “Here Comes the Bus” mobile app. Available to parents for free, the app provides real-time GPS-powered school bus tracking, as well as text and email notifications to alert riders and parents when the bus is approaching. 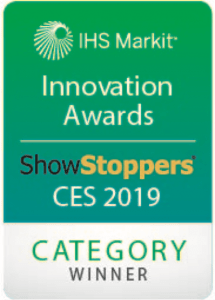 The app captured an Innovation Award from IHS Markit at the 2019 Consumer Electronics Show in Las Vegas, thanks to its intuitive interface and rapid growth to serve more than a million users nationwide. Higley has also deployed the Student Ridership feature that allows students to check in and off a bus and deliver real-time notifications to parents on their child’s whereabouts. Crosby said his team is pleased with the way the software has made their fleet safer and helped them better manage the daily battle to keep the buses running smoothly when drivers call in sick. And the turn-by-turn navigation on the tablets has made the job of substitute drivers far less complicated. When fleet managers couple the community-facing solutions like Student Ridership and Here Comes the Bus with the tools that are designed for the administration, like Turn-by-Turn navigation on the tablets and alerts for idling and speeding, they have a powerful tool to save money, enhance service to their community and improve the safety of their fleet.